The Reverie Flight is an untrimmed steering wheel range which is available in a range of different drilling patterns including MOMO/Sparco/OMP, Nardi, 3-Stud or Raid drilling patterns. Alternatively, we also make undrilled Flight steering wheels or if you require a special drilling pattern, we can accommodate that too. Available in two different outer diameters 280 or 315mm. The Flight steering wheel range weighs from only 280g - a significant weight saving over conventional steering wheels and a necessity for racing applications. 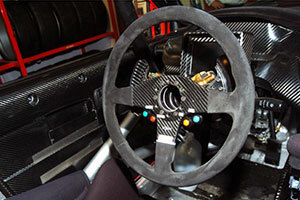 View our full range of our Flight steering wheels. Below, first select which model (280 or 315) then select desired drilling pattern. (if you require a special drilling pattern, please contact us first).